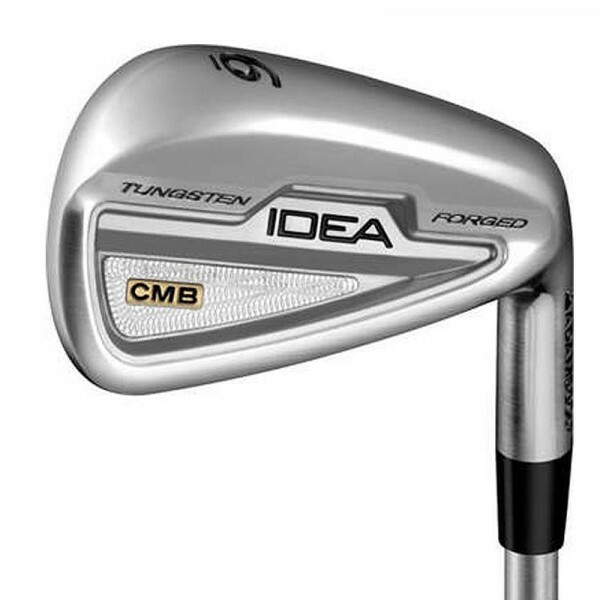 Produktinformationen "Adams Herren CMB Forged Eisensatz 4-PW KBS C-Taper Satin Stiff Stahlschaft"
The Most Playable Player's Iron. The incredible look and feel achieved through the multi-material construction and design of the Idea CMB Irons raises the bar for the future of the players' iron category. The good looks are striking, the feel amazing, and the performance is world-class. The unique placement of tungsten weight plugs will minimize twisting at impact so that mis-hits feel better and fly more accurately. The CMB Irons appeal to the best golfers in the world and can be played by skilled amateurs that need additional forgiveness through technology and design. Forged 1025 carbon steel body provides exceptional feel. Unique tungsten weight inserts strategically placed low in the toe to position the center of gravity in the exact center of the scorelines. This creates enhanced feel and minimal twisting at impact. Two-piece, laser plasma-welded forged construction. Nickel-chrome satin finish gives these irons a unique and better player look. 3-way cambered sole improves turf interaction. Triple-milled (face, grooves & cavity) improves the scoreline design. Progressive performance provides consistent forgiveness and ball flight control from long irons to scoring clubs. Weiterführende Links zu "Adams Herren CMB Forged Eisensatz 4-PW KBS C-Taper Satin Stiff Stahlschaft"
Kundenbewertungen für "Adams Herren CMB Forged Eisensatz 4-PW KBS C-Taper Satin Stiff Stahlschaft"